I’ve had a very busy weekend, which was to be expected due to Black Friday/Cyber Monday, but I hadn’t been entirely sure what to expect, or wether or not I’d notice a boost in sales, but I definitely have! I hope your weekend has been equally as good! 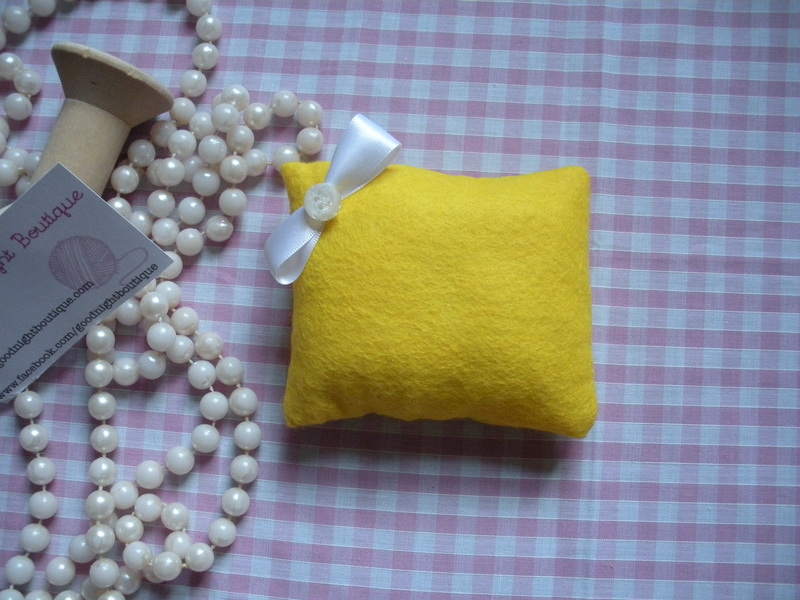 Now… To announce the result of my first giveaway, for a pair of cute, retro, telephone shaped earrings, which I held in my last blog post. The winner was commenter number 2, which was Sarah! Her website is http://www.dragonfly-jersey.com – you should have a look! I’ll be announcing some more giveaways soon, so keep checking back! On Saturday I went to the Pop Up Emporium Vintage And Collectables Fair in Newcastle, Stoke, and had a lovely time selling my wares, eating cupcakes, and listening to some live acoustic music. I’ve got fairs for all the remaining weekends until Christmas, so it’s going to be busy, busy! 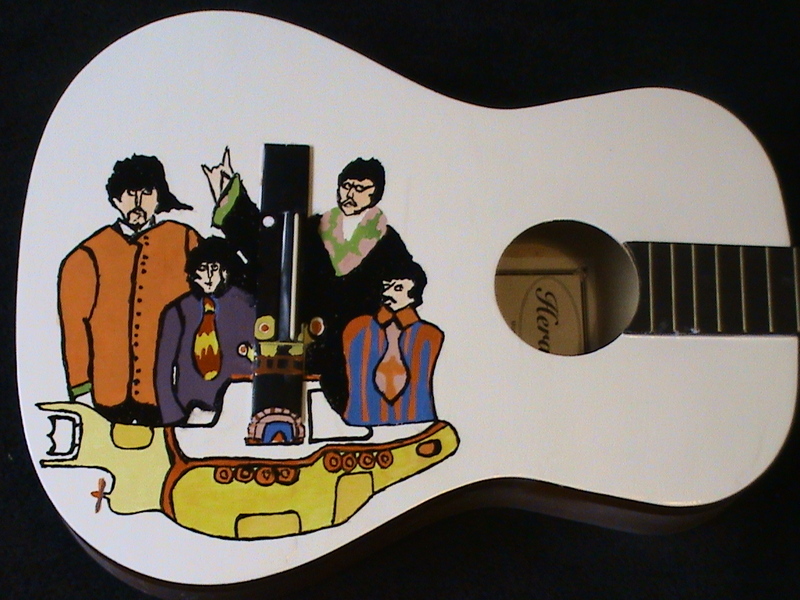 P.S I thought I’d share with you this guitar that I painted, just for myself, a while back. I love, love, love it! What a totally amazing guitar! Thank you sooooo much…can’t wait to get my earrings and show them off!! I’d never heard of Black Friday before but heard all about it on the radio. I love your guitar and well done to Sarah. Great guitar! Congratulations on your sales both online and at your fair. The guitar looks amazing. It must have taken ages to get just right! Thanks for the share. Love looking at personal makes as well as customer ones! 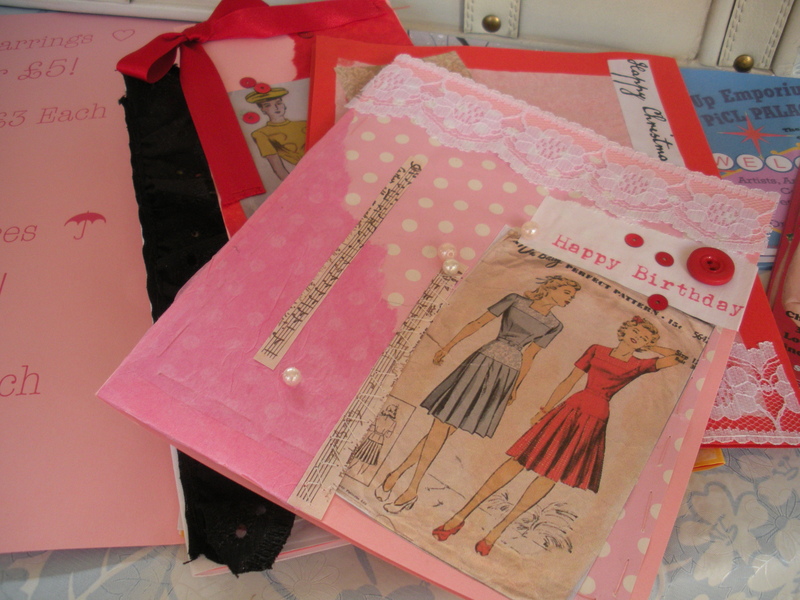 am liking the dress pattern card – most unusual.I may have a couple of 70’s ones you can have. do email me if you want them. That guitar looks great. Glad you’ve had a busy weekend. Fab things – so different! Good luck with the rest of your fairs.